As we are almost half through the season we are reducing the cost from £100 to £50. Due to having been lucky in the cup draws with home fixtures we have additional match sponsorships available for these games. Although we have a ball sponsor for the season we will still take ball sponsors for individual games, only £60 for two guests. 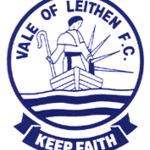 Vale started the game without a recognised centre forward and had Sean Stewart leading the line. Strollers started the game with the strong wind at their backs and were intent on playing long balls initially. However, as the game progressed it was Vale who were on the ascendancy, with the front line creating problems in the Strollers defence with their quick movements and slick play. Their good play was rewarded in the 18 minute when Stewart was allowed one on one with the goalkeeper and slotted the ball past him. Vale were then denied a good penalty shout when Patterson appeared to be brought down. Vale were award a penalty in the 38 minute when Stewart was taken down in the area. Kerr Allan’s spot kick was saved by the goalkeeper, however he followed up and scored with the rebound. Strollers started the second half more positive and although having a fair degree of pressure, the Vale goal was rarely threatened. Strollers problems were increased in the 55 minute when their centre back Jack Verth was dismissed for elbowing Sean Stewart. The rest of the game was played out with the Strollers pressing and the Vale hitting on the break. Despite a few chances at both ends there was no further scoring. Chris Anderson is fully aware of the challenge his Vale side face today. Civil Service Strollers are the visitors to Victoria Park and a decent start to the season has them sitting just outside the top half of the table. However, he is pleased that he is pretty much a full squad to choose from after a difficult spell on the injury front. He said: “Today we welcome Civil Service Strollers to Victoria park and I’d like to extend a warm welcome to Alec Cunningham and his team who have had a good start to the season. They will prove to be a tough challenge for us today. Anderson also reflected on the unfortunate events of last weekend which led to the postponement of the cup tie against Upper Annandale, much to the annoyance of both teams. Vale officials felt that the pitch was in a playable condition but the referee disagreed and said it was too soft in places. 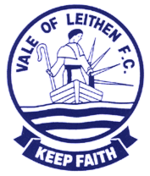 This frustrated everyone involved who were desperate to play the fixture, especially since the away side had traveled a long distance from Moffat. Strollers visit Victoria Park in the best of form after beating League leaders BSC Glasgow and knocking Gretna 2008 out of the Challenge Cup. This will be a good test for the Vale who showed good form in their win at Gala. Should be an entertaining game, so hopefully a good crowd behind the team. A great draw for the Vale and one the club can build on. The date for the game will be decided once the opponent has been confirmed.